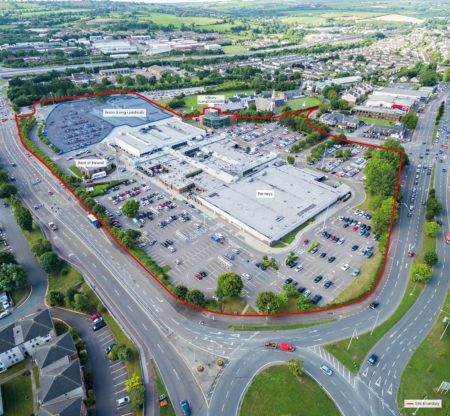 Savills has launched Wilton Shopping Centre to the market on behalf of York Capital, guiding in excess of €86m which comprises €76m for the Shopping Centre – producing a net initial yield of 6.75% – and €10m for a mixed-use development site. The sale offers an exciting investment opportunity to acquire Cork’s dominant retail centre that boasts Penneys’ (Primark) only suburban Cork store and offers a range of leading international and national brands. The established shopping centre is anchored by Penneys and Tesco (the latter owner occupied) and boasts an impressive footfall of over 5.5 million per annum. The centre retains virtually 100% occupancy underpinning the success of the centre. The net operating income (NOI) for the centre is approximately €5.54m. Wilton Shopping Centre was constructed in 1979 and extended in 2003/2004. It includes approx. 11,277 sq m (121,388 sq ft) of retail space, excluding the Tesco store and stands on a site of approx. 11 acres. Within the shopping centre, the dominant anchor is Penneys with other key retailers being Peter Mark, Euro Giant, Easons, KBC, EBS Ltd, Boots, New Look, Lifestyle Sports and Specsavers. Externally, there are two detached blocks, the library which is owned by Cork City Council, and 664 sq m (7,146 sq ft) Bank of Ireland which forms part of this sale. The centre has ample parking with over 1,000 spaces. Wilton Shopping Centre is situated within the established and accessible Bishopstown and Wilton suburb, 3km south west of Cork City Centre, opposite Cork University Hospital. Nearby is University College Cork to the north east and Cork Institute of Technology to the North West. The centre has a large catchment of ca. 200,000 people within 15 minutes’ drive, of which 36% is within the top tier AB socioeconomic class. The large catchment is due to the ease of access from the surrounding road network. The South Link/N22 bypass to the south provides excellent access to the east/west and south of the city, with the Wilton Road connecting towards the Northside of the city. This asset offers the opportunity to significantly develop and build upon the existing scheme to create an enhanced vibrant District Centre. Notification of Decision to Grant was recently received for the retail centre’s northern section, close to Cork University Hospital and the Maternity Hospital and include a 190-bed hotel set to serve hospital visitors among other guests, a 14-screen cinema, a public plaza, a two-storey 75,000 sq ft anchor unit along with other retail and office space, and 874-space multi-level carpark among other additional parking provisions.